Description First issued in late 1949 at 1/-d.
Out of print during 1951 and 1952. 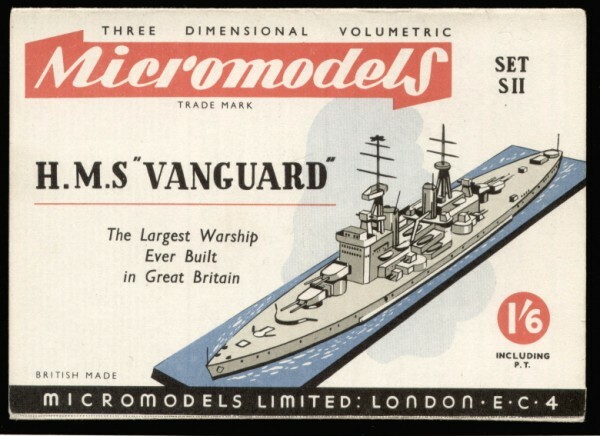 Reprinted in 1953 at 1/6d. There is also a version with a 1/8d price sticker over the 1/6 price. This is done by Broadway Approvals in 1958. 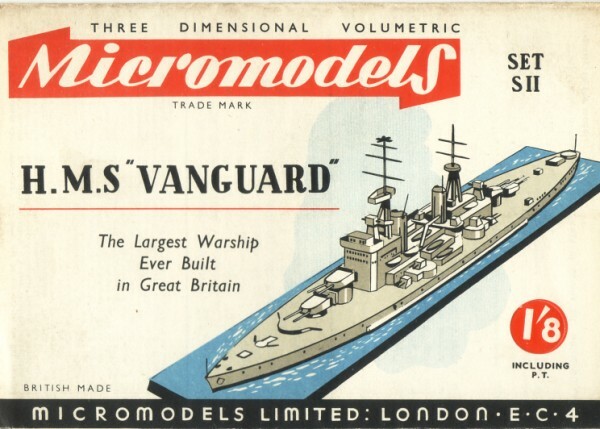 Stocks of the 1/6 reprint were passed down the line to the Watford Model Supply Co. in 1971. The first edition has more elaborate wrapper artwork and text. 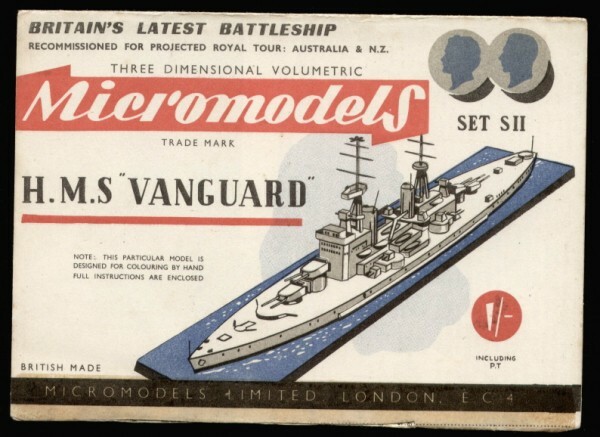 “Britain’s latest Battleship recommisioned for projected Royal Tour: Australia and N.Z.”. To the right of the wrapper are the profiles of King George VI and Queen Elisabeth. Printed inside the wrapper is a scenic background of Sydney Harbour (photographic). Card 3, the profile and base card is uncoloured. The second edition lacks the Royal Tour information and scenic background. 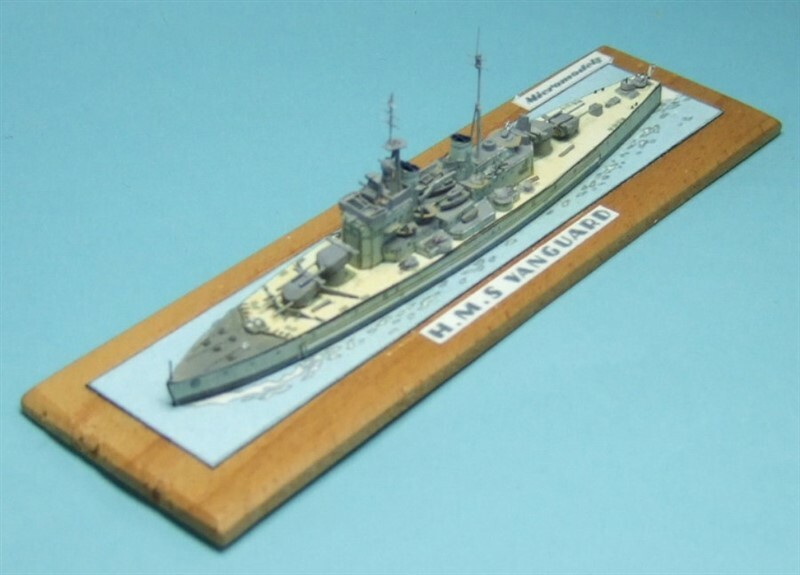 It shows the text “The Largest Warship Ever Built in Great Britain”. 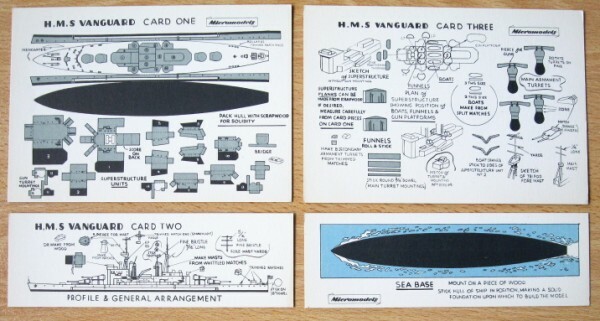 The profile and base card differs in that it is now split into two halves with the base part coloured in blue. 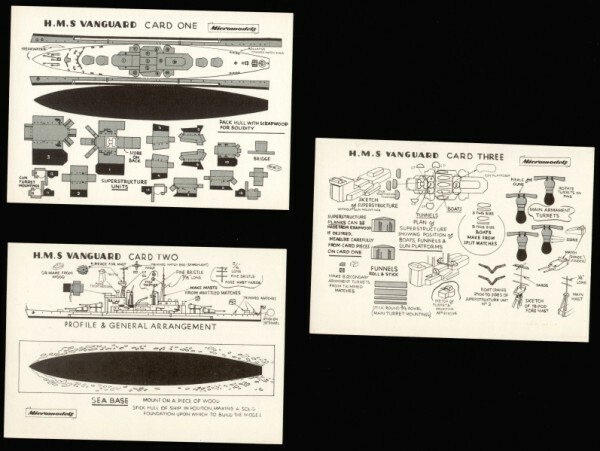 Card 1 and 2 are identical to the cards of the first issue. 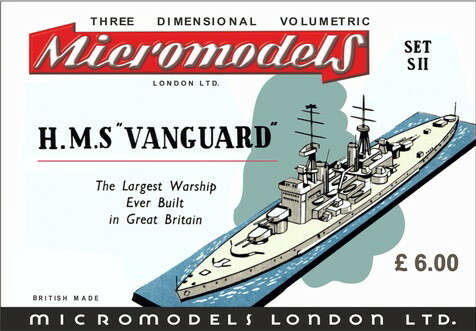 Set S II Vanguard is the smallest issued Micromodel. 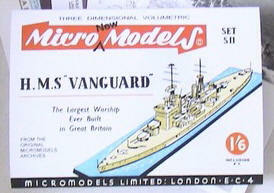 Autocraft has also published the Vanguard. Micromodels London has designed a wrapper, and has the intention to publish the model in the near future. 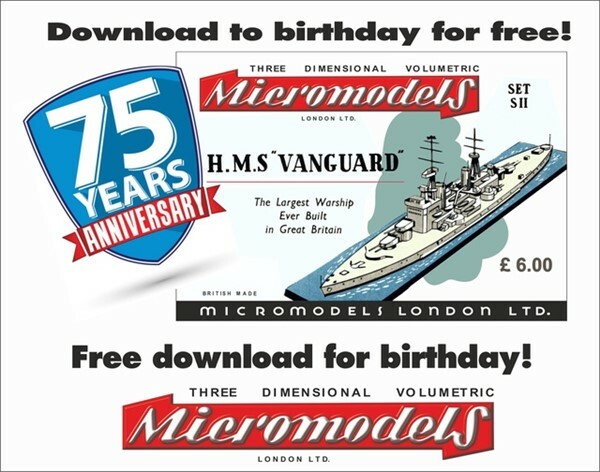 A free download of this paper model was made available by Micromodels London on their website.